French Open 2018 – Results! This weekend the 10th version of French Open was held. The support was very good, and the top nations in Europe was to find in the line up. The tournament had novice and “old masters” categories also, besides the elite category. 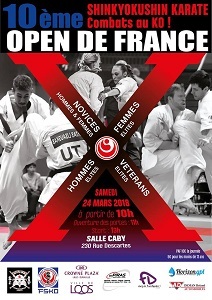 French team made a very strong tournament at home soil, winning several of the elite categories. The final, brought to you by Olivier Vity – visit for full playlist!